The Infinite as a potential of all possibilities. 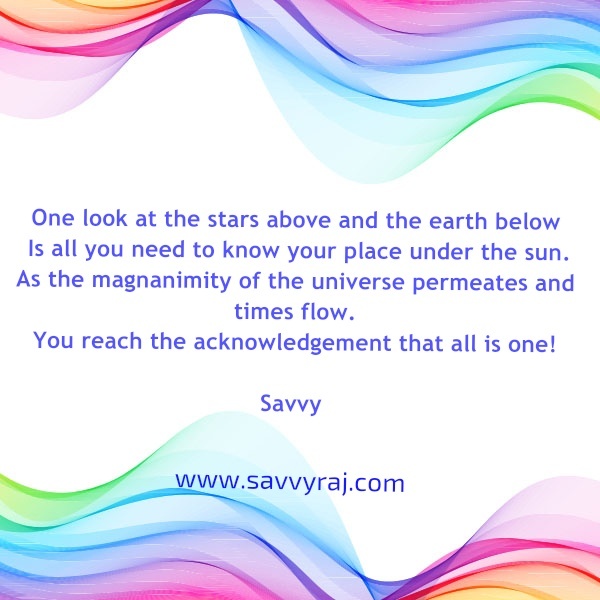 Categories: art, Life and Living, life education, Metaphysical, Writing | Tags: # SavvyArts #Dimensions, # Way of life #path of peace#Empathy education, #conscious connects #awareness #circle of life | Permalink. Serenade love and allow it to speak truth. Categories: art, hope, life, Life and Living, Love, Nature, Poetry, Writing | Tags: # creativity#artist # expression, # love #humanity #gratitude # goodwill #hope | Permalink. As life keeps on happening . Categories: Artworks, Creativity, life, Life and Living, life education, Metaphysical, Nature, Poetry, Writing | Tags: # artistry#Beyond, # creativity#artist # expression, # Holistic Education # Life &Living #Personal Development, # Motivational writings, # Patience #Art #Life skills education #Empowerment # Life Coaching#Transitions, #creative writing, #Life Coaching #Mindfulness, #Liife and Living, #Perseverance, #Savvyarts #universal consciousness #, Beauty. life and living | Permalink.